Your shop is in holiday mode so this listing is not visible to the public. 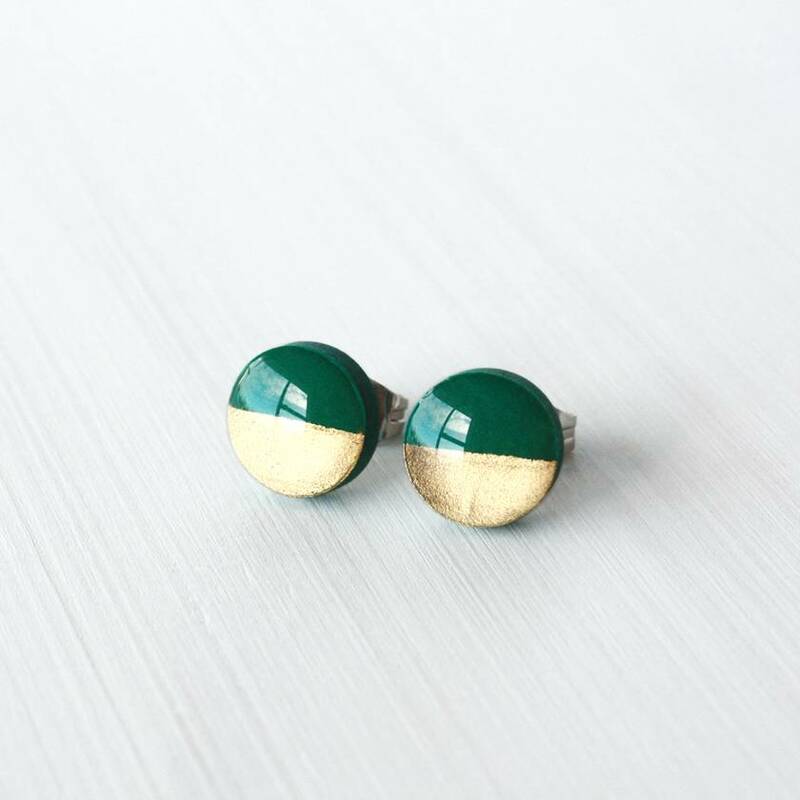 These striking dipped studs in emerald green are handmade from polymer clay. The metallic finish is hand painted and then they are coated with resin giving them a shiny luxe finish. 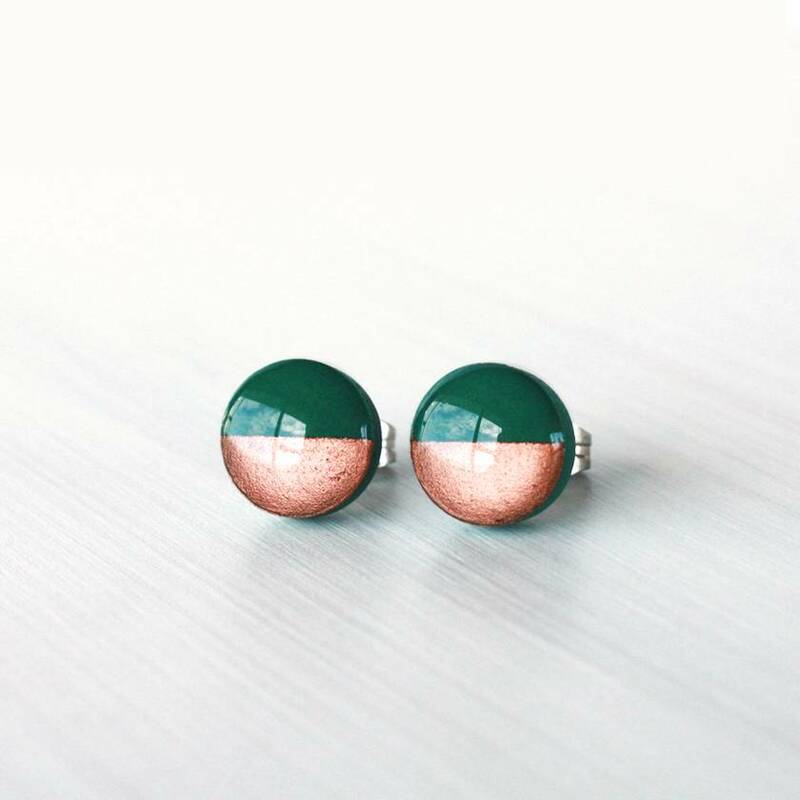 The earrings measure 8mm in diameter and are available in three metallic dipped options: Gold, Silver or Copper. Please state at checkout which colour you require. 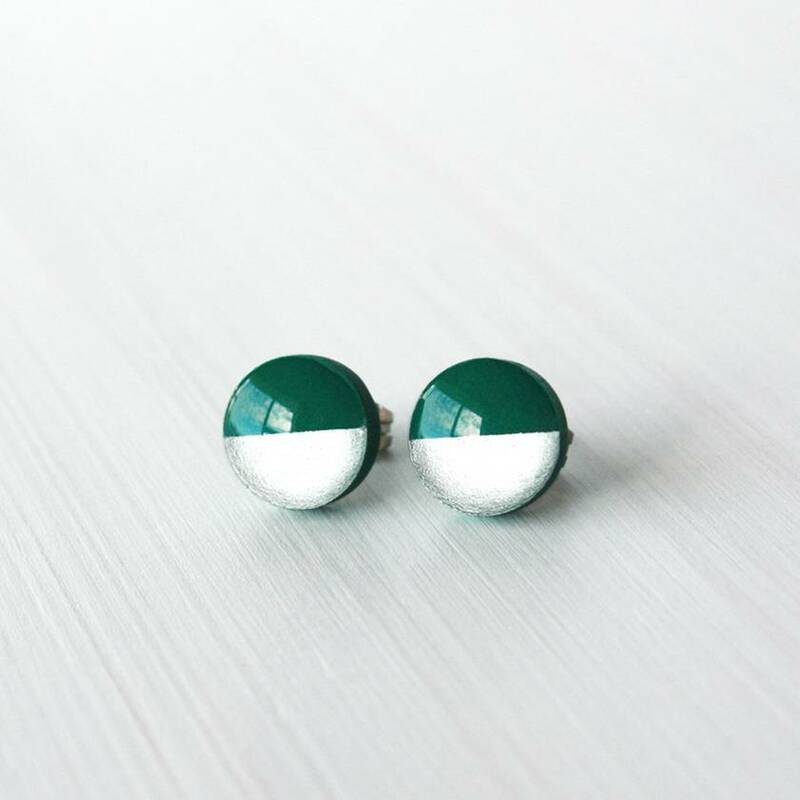 Totally hypoallergenic with surgical steel ear posts, they are shower proof and perfect for everyday wear. 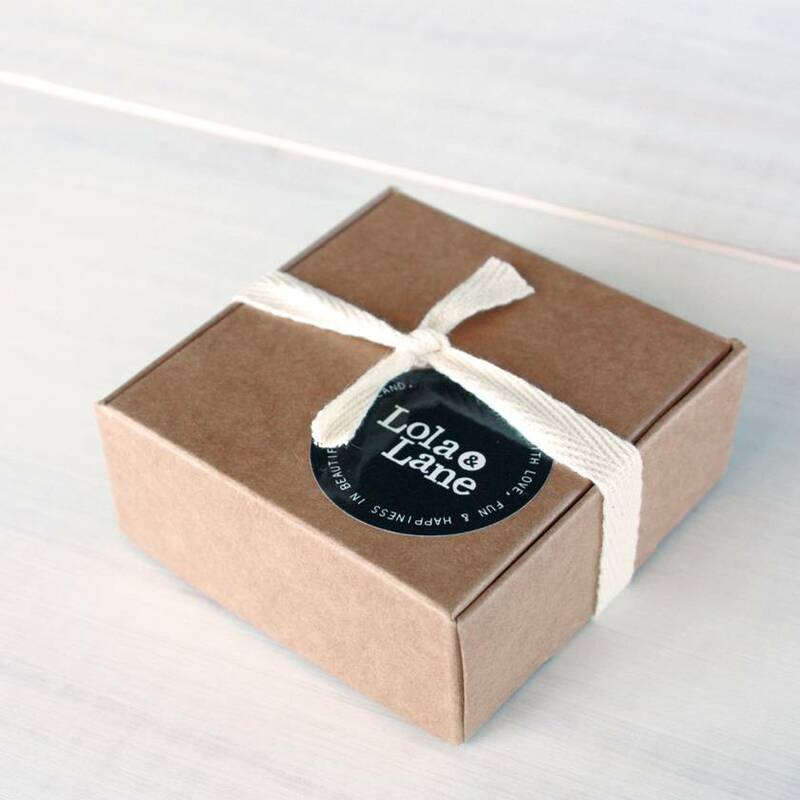 All Lola & Lane jewellery comes boxed and ready for gift giving. Contact lolaandlane to enquire about payment or shipping options. "Fabulous earrings...so perfectly made. Thank you"